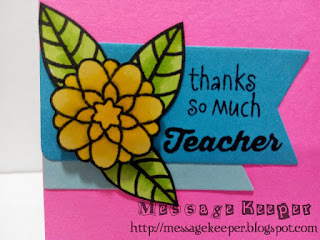 Another two cards for my kids' Teacher's Day using 'one sketch two cards' idea! On the fishtail banner die cuts, the sentiment is stamp. 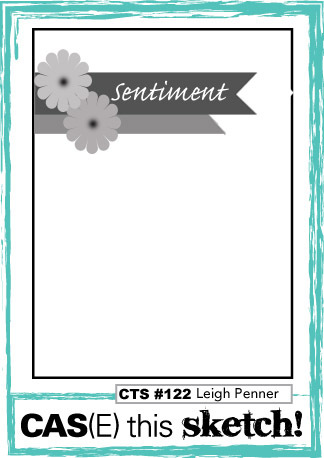 Another small fishtail banner die cuts are attached to the sentiment fishtail banners as in sketch before attaching them onto the cards base as in sketch. 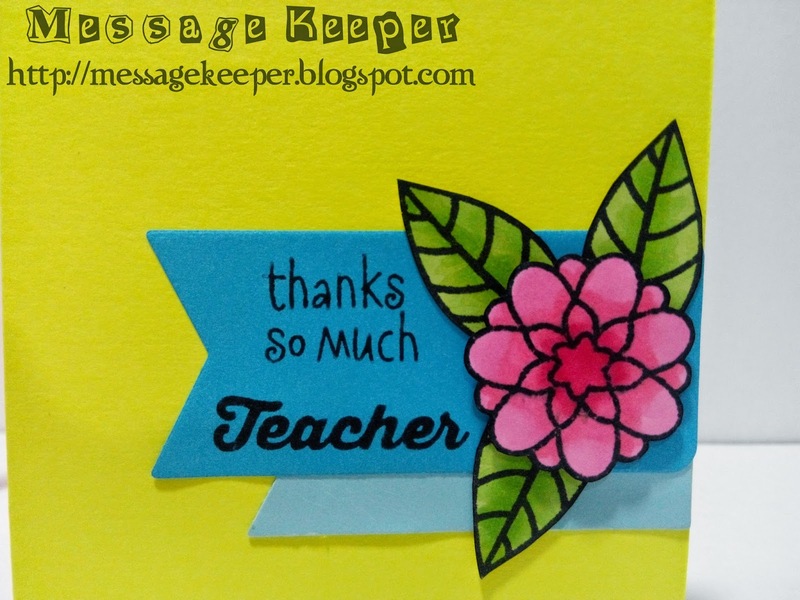 The flowers and leaves are stamped on a white card stock and colored using Copic markers. They are trimmed accordingly. The leaves are attached onto the banners following by the flowers using foam tape as in sketch. The cards are finished off by rounding the four corners. Oh, these are so fun & pretty! Wonderful takes on the sketch!